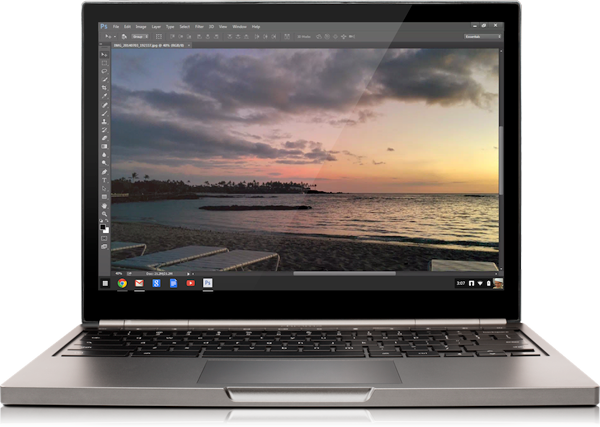 Google today announced a version of Adobe Photoshop that Chromebook owners can stream. The company says that for now, the beta will only be available to Adobe education customers in North America with a paid Creative Cloud subscription. 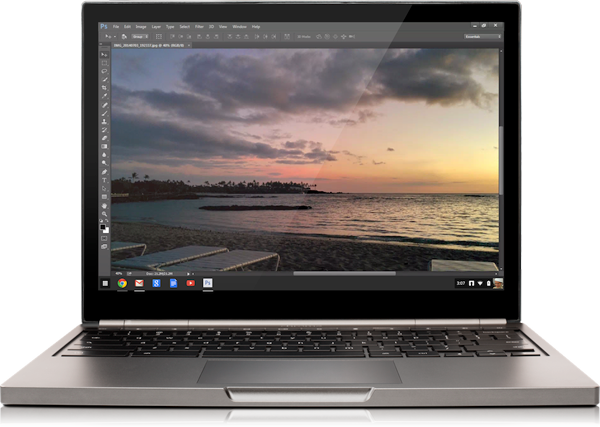 That’s pretty restrictive, admittedly, but it highlights how Google can compete with Windows and OS X, which typically run on more powerful hardware and can handle resource-intensive, native apps. This version of Photoshop will, presumably, require a steady internet connection to use. Google says it’s fully integrated with Google Drive too, which means you won’t need to constantly download and reupload your projects. To check if you’re eligible for ‘Project Photoshop Streaming’, head here. Is this something you would consider using? Let us know in the comments below.